As noted in our blog post on important technology trends that will impact 2018, the Internet of Things (IoT) will continue to expand, but its growth faces challenges presented by the recent landmark FCC decision to end net neutrality. Businesses of all sizes should pay careful attention to how the net neutrality process unfolds, as it will certainly have an impact on internet service and costs and, as a result, on the growth of the IoT. The concept of the IoT involves the power of the internet to connect every imaginable device, machine, or structural component. This ever-growing network increases the connections of people to things, things to things, and enhances the relationships between people everywhere as well. Through the use of sensors, electronic tags and labels, and other technology, the IoT makes it possible to automatically collect, share, and use valuable data. The application of smart technology and improved artificial intelligence (AI) increasingly widespread in household appliances, at retail locations, logistics centers, and in the workplace – all connected by the internet – will continue to have a dramatic impact on both the home and work environments. In a historic decision in December 2017, the Federal Communications Commission (FCC) voted to end net neutrality. This action ended regulations put in place in 2015 that have ensured equal access to the internet without extra fees and that also prohibited any restrictions on access to websites. Proponents maintain this is being done to stop the federal government from micromanaging and regulating the internet like a utility. They believe it will help consumers because broadband providers will now be able to offer people a wider variety of transparent service options. They emphasize that now customers will be able to select the option that best suits their needs and budget. Supporters also say it will incentivize providers to build more networks and provide more and better service options for underserved areas. Critics contend that the action is primarily a boon for large internet service providers (ISPs) as they can now selectively charge consumers and businesses different rates for different service speeds (e.g., fast and slow lanes) and overall levels of service. For example, an ISP could demand that Netflix pay a higher rate to ensure that its streaming service operates at normal speeds. ISPs (such as Verizon, AT&T, and Comcast) could also restrict access to certain websites by using subscription services and demanding higher fees for access to premium content. As reported by CNET, more than 200 innovative tech companies, including AirBnb, Reddit, and Twitter, sent a letter to FCC Chairman Ajit Pai asking the agency to preserve net neutrality before the decision, but it did not change the FCC’s 3 to 2 vote against it. 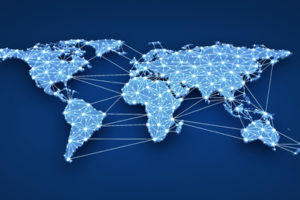 With experts estimating that the amount of connected devices will reach 30 billion worldwide by 2020, the IoT will inevitably face even greater latency issues than those that are already negatively affecting it. As a result, ISPs will have to invest considerable funds into improving internet networks to try to meet this surging demand. Many observers predict that they will pass along some of the immense expense of these investments onto consumers. With the end of net neutrality, these companies will likely develop new internet billing and service models that will meet consumer demands but will also serve their best interests. The open question is who will ultimately benefit the most from these upcoming changes. Some tech observers maintain that the loss of net neutrality won’t impact the expansion of the IoT significantly because most of the communication is among devices using private networks. However, others say that all companies need the highest internet speed for the real time monitoring provided only through the internet, especially for the critical sensors and devices that monitor production or security. Larger companies may also gain a competitive advantage because they can cut deals with ISPs for faster lanes and better service, while smaller companies can’t afford them. As a result, smaller companies envision a nightmare scenario where the ISPs can select which companies have access to their highest level of service. Many observers fear the loss of a level playing field will negatively impact the growth and success of innovative smaller companies, which won’t have the resources to effectively compete. As of early 2018, many states are working to enact legislation to counter some of the perceived negative effects of the end of net neutrality. In addition, there is ongoing legislation being proposed and debated at the federal level with varying levels of bipartisan support. The problem with any legislation that passes Congress, however, is that it would need 2/3 support to overcome a veto by the president. 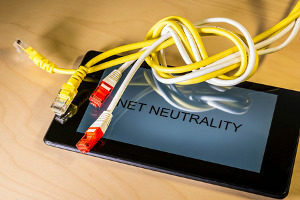 In short, there will certainly be ongoing legal and legislative action concerning net neutrality that may delay major changes, but small businesses should continue to pay careful attention to how this development will affect the cost and quality of their internet connections. In summary, small businesses should remain confident that the IoT will continue to expand and offer them opportunities to enhance their sales and operations. However, the end of net neutrality will have an impact, as yet undetermined in size, on that growth and will likely affect the cost and quality of their internet service. We recommend consulting with a trusted IT Support partner, such as Network Depot, to remain updated and protected as much as possible from the changing business environment that lies ahead.